There are milestones reached in life that make you want to celebrate like never before. For some, this may mean turning 40 or 50 years of age. For others, it may signify a 25th wedding anniversary or a long-awaited marriage and honeymoon. Regardless of the milestone, it can be made even more memorable with a once-in-a-lifetime vacation experience. My June 2013 trip to Tuscany, Italy will fulfill this dream for six eager residents of Dallas, Texas as they embark on a special trip together to celebrate their own milestones. Tuscany is no doubt one of the most popular travel destinations in Italy. With its rolling countryside dotted with quaint farmhouses and endless olive groves, Tuscany offers some of the best wines in the world. 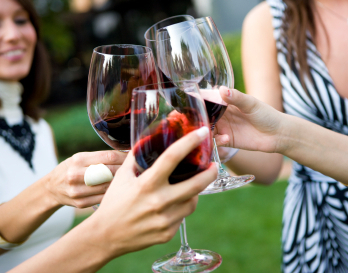 A trip to Tuscany is one worth savoring…and celebrating for a lifetime. Lisa Heien, a 39-year old mother of two from Dallas agrees. She is part of the small group joining me in June as they celebrate together in Tuscany. When her group first contacted me, I knew Tuscany would be the perfect setting for them. Lisa’s worries mirror the concerns of so many of my clients. They know what they want but are not sure how to achieve the perfect vacation. Yes, the planning process is long and brutal. Once my guests entrust me with their vacation, my goal is to make sure every single small detail is covered and that they no longer have any worries. During our 7-day Tuscany journey, we will be blending together a delicious mix of relaxation, cooking and cuisine, wine tastings, and endless culture. From hilltop medieval towns to the country charm of our villa, I have no doubt that each of my guests will leave with a small piece of their hearts remaining in Tuscany. Some of the highlights of our trip will include gourmet Tuscan cooking classes where the group can test their culinary skills and learn some of the tricks of the trade. Our Tuscany cooking class, “La Cucina Toscana”, will allow everyone the opportunity to experience Tuscan cuisine through hands-on instruction on how to prepare and cook classic recipes. 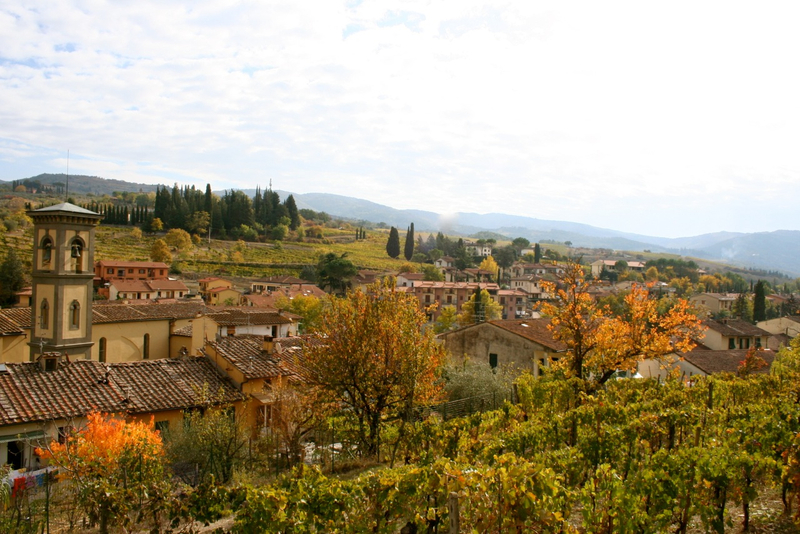 Once prepared, we will enjoy the fruits of our labor by sipping wine as we take in the magnificent views of the gardens, olive groves and beautiful hills of the Chianti region. We will visit an ancient abbey for wine and olive oil tastings, and spend a evening at a spectacular Agriturismo, in the heart of Chianti, a true farm to fork experience. As well, one cannot come to Tuscany without a visit to Florence. We will enjoy a walking culinary tasting tour, a very special “art” walk at dusk, and enjoy wonderful meals at family run trattorias and some time for the great shopping in Firenze! The Amalfi Coast of Italy offers equal splendor, for similar celebrations. It is another outstanding location to bring friends and family to in order to commemorate a special time. I’m excited to be traveling to Amalfi later this year with yet another special group of individuals. It is here where I will be celebrating my 30 years of friendship with a very close friend, and it will represent the exact location that my husband and I went to celebrate our 25th wedding anniversary. Whether it’s adventure and romance, culture and cuisine, or a small slice of it all, Italy allows you to celebrate big. These adventures will allow you to look back on your accomplishments and reward yourself in a special way. My fall 2013 trips to the Amalfi Coast of Italy and Tuscany are not yet full. If you are looking for a magical way to celebrate that next big milestone in your life, give us a call today and allow us to put the planning in place so that you can celebrate without worry. Carol Ketelson is the owner and operator of Delectable Destinations LLC. Dedicated to planning, co-ordinating and curating customized group tours to hand-picked destinations. 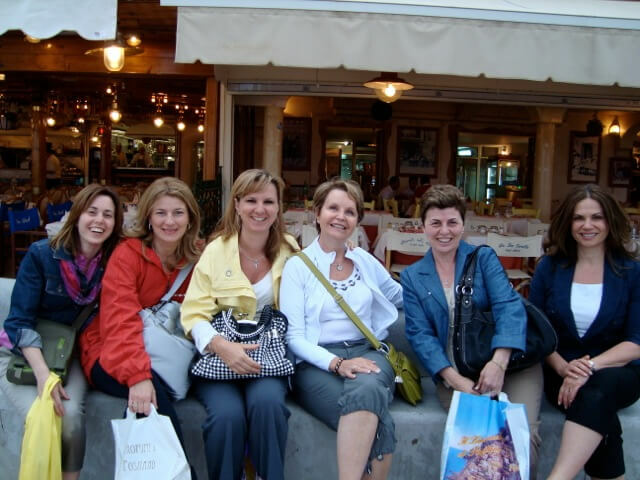 As an experienced travel planner, Carol’s customized itineraries, specialized tours and off-the-beaten-path experiences create memorable journeys for her small groups of singles, couples, divorced, widowed and solo travelers seeking exceptional trips into the culture and cuisine of destinations around the world. Spring and Fall bookings invite travelers to taste delectable local cuisine, culturally rich traditions and mesmerizing sights. For over 10 years, Carol’s tours have captured the true essence of Tuscany, the Amalfi Coast, Puglia, Spain, Ireland and India.